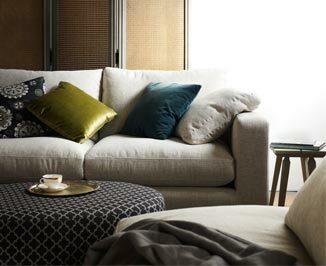 Made by Molmic furniture of Melbourne with a solid timber frame & timber feet, the Shona fabric sofa lounge features seats with no sag steel sprung suspension and a contemporary soft edge. Seat & the back cushions are feather & fibre blend. Scatter cushions are Feather filled.